I know parenting can be a tough job, and that every mom has their own way of handling things. The way they behave and react in certain situations is influenced by their own upbringing, biases and expectations for their children. But here’s the thing – despite the differences in women’s parenting methods, there are certain universal things which are considered as good parenting, and others as bad. Even so, I wouldn’t blame you if you thought that certain things are completely acceptable, simply because the same rules applied to you as a child. All I ask for you is to be open minded enough to understand the negative consequences of your actions towards the future of your child. Being loving, patient and caring isn’t really all there is to be a good mother. It’s a lot more complicated than that and I hope the following points will help you see through that. I understand how difficult it can be for working mothers to spare their children time from their hectic schedules, especially if said mothers are single. But if you always focus on work, financial stability, your child’s performance in school, etc., then you will become wrapped up in worries. But here’s what you need to remember – they are kids and they need their mother from time to time, especially to hear your comforting and loving words. This applies more to mothers with teenage children. It’s beyond impossible to get through those children, which is why a delicate balance of communication and giving them their space is required. Just because they’re shutting you out doesn’t mean you should completely give up on them. You’re their mother – it’s your job to get through to them, whether they like it or not. No amount of expensive gifts or fancy holidays will ever substitute for an actual heart to heart talk with your child. Your involvement in their lives is paramount, so remember to not display such signs of a bad mother. I get it – she’s your only child and you love your kid to death. Or you want to do is to answer her every whim and fancy simply because your parents couldn’t do the same for you and you’ve never really forgiven them for that. But here’s the thing. Overindulgence will only end up making your child not only completely dependent on you but also an irrational and arrogant human being as well. Now this is a very debatable topic. Of course, abusing your child is ethically and illegally wrong. But should that mean you should treat you kid like a delicate flower that should never be touched? Maintain a balance. A light whack on the head from time to time is completely acceptable. But if you’re harsher with him physically or even verbally, you’re a bad mom because such actions will have deep psychological repercussions on your child. Yes, your child might need their space and privacy, but there is such a thing as giving them too much space and privacy. Never use this as an excuse to be absent from your children's lives. It doesn’t make you a cool mom. 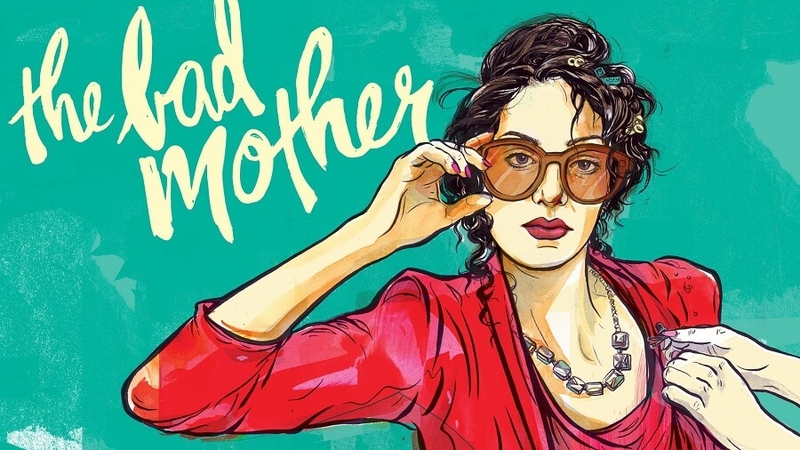 Quite the opposite – it's one of the signs of a bad mother. This is similar to overindulging your child. As a result of your non-interference, your children will end up learning behaviors and habits from other kids or adults. And guess what? Children tend to pick up bad behaviors quicker than good ones. Discipline is necessary, both for children and adults. Always keep that in mind. I mean sure, letting off steam every once in a while is okay because you shouldn’t bottle your emotions. But never take it out on your child. It’s not like they’re making mistakes deliberately. For example, just because someone else’s child is a prodigy violin player doesn’t mean yours has to be one too. Who knows, he might have a different talent. All you need to do is to show patience for your kid to blossom into the person he or she wants to become. I know you want to shield your children from the big bad world, but all you will end up doing is making them dependent on you for every decision they have to make, big or small. Their ability to assess situations and stand up for themselves will be severely stunted. It’s the same if you feel the need to cover up their antics just to save them from dad’s scolding. You will end up being taken for granted, and until and unless you’re happy being treated that way till the day you die, you'd better pull up your socks and recognize such signs of a bad mother.